Hawthorn, also known as may flower, is a dense, thorny bush related to the rose family that grows in areas with moist climates throughout the world. 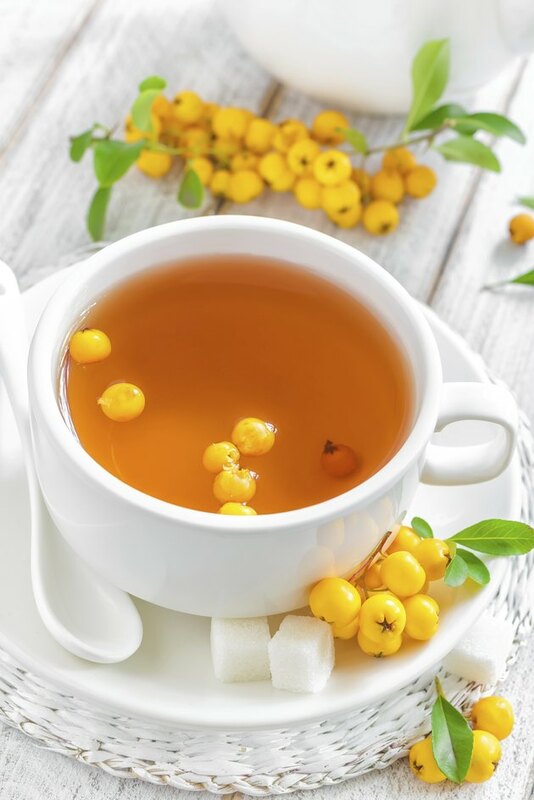 Hawthorn tea is most widely known for its medicinal uses and primarily for its cardiovascular applications. The active compounds are derived from the leaves, flower and fruits, which have an unpleasant odor and a slightly bitter taste. Many cultures throughout history have recognized hawthorn's heart-healing properties, including the ancient Greeks and Native Americans, according to AltMD.com. Prior to using hawthorn tea medicinally, you should consult a physician. Hawthorn tea is conventionally used to treat and prevent cardiovascular disorders. The mechanism of action is thought to be hawthorn's antioxidant content, which causes the dilation of smooth muscles in the heart and blood vessels, lowering their resistance and increasing blood flow. The following heart conditions can benefit from the opening of cardiovascular vessels: angina, atherosclerosis, congestive heart failure and hypertension. Additionally, consuming hawthorn tea can increase the strength and frequency of your heart's contractions, according to the website AltMD.com. Hawthorn tea is also useful for treating anxiety. The primary symptoms of anxiety that hawthorn effectively treats are chest tightness and heart palpitations. AltMD.com explains that hawthorn may have the same mechanism of action for anxiety as it does for heart conditions, which is lessening the resistance of blood flow in your body, thus lowering blood pressure and tension. Prepare hawthorn tea by simmering 1 tablespoon of dried berries in 2 cups of water for 10 to 15 minutes. You can drink the tea up to three times a day. Store any excess tea in a tightly sealed container with 1 tablespoon of lemon juice added to preserve the active constituents. Do not use hawthorn tea as a treatment concurrently with blood pressure-lowering medication without medical supervision because it can enhance the performance of these drugs, according to HerbCompanion.com.